India has more than 1,15,435 km national highways as per the NHAI report dated 30th June, 2017. Due to increased traffic on road, Indian government is making an effort to widen these existing roads alongside building new ones. The government set across an ambitious target of building 15,000 kms of roads in 2016-17, but due to traditional methods used for construction and monitoring, only 8,200 kms of roads were built. Indian Prime Minister Mr. Narendra Modi suggested using drones to monitor the construction and fasten up the construction process as well as maintain transparency. Road Construction Monitoring using Drones. 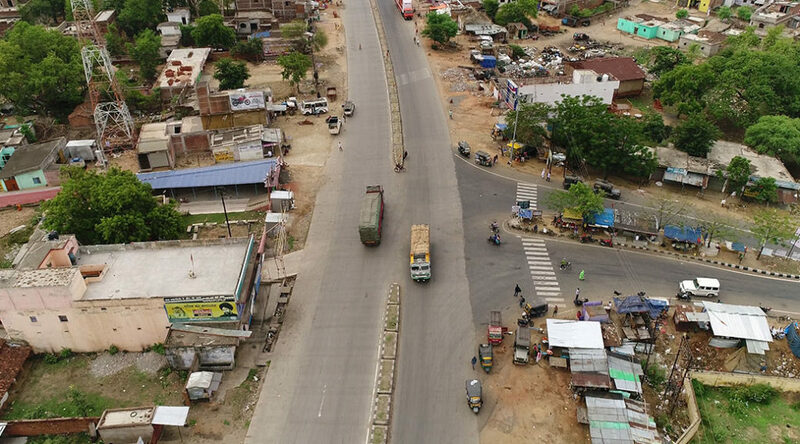 This article explains in detail, how drones are assisting Infrastructure developer as well as government bodies while planning and construction of roads. 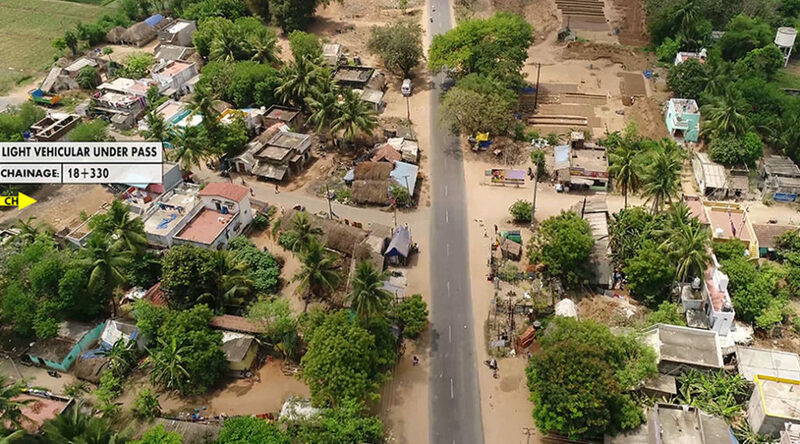 It is one of the most preliminary and crucial step in the construction of roads, as the government needs to acquire neighboring lands if they belong to private entities or public. Land disputes often hinder the construction of roads and put projects behind schedule till the dispute is resolved. If government/private entity has an early access to all the information regarding the ownership of land, they can make an attempt to resolve it. 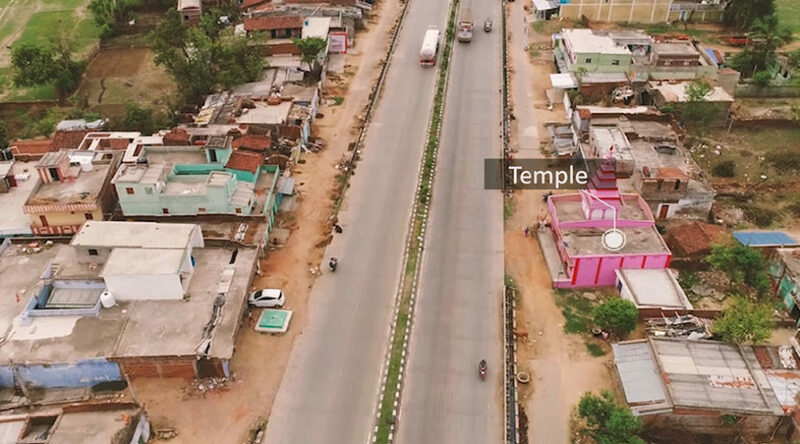 Aerial videography of roads using Drones can solve this issue by providing insights on the acquired and unacquired lands. It can help in clearing out the bottlenecks and keep the project on schedule by providing clear and concise information as on date. After land acquisition and Liaisoning, companies need information about different utilities including electric poles, schools, public toilets, public hospitals, vegetation, religious structures, etc. If Project managers have an early access to all these information, they can make well informed decisions on whether to shift those utilities or demolish them. 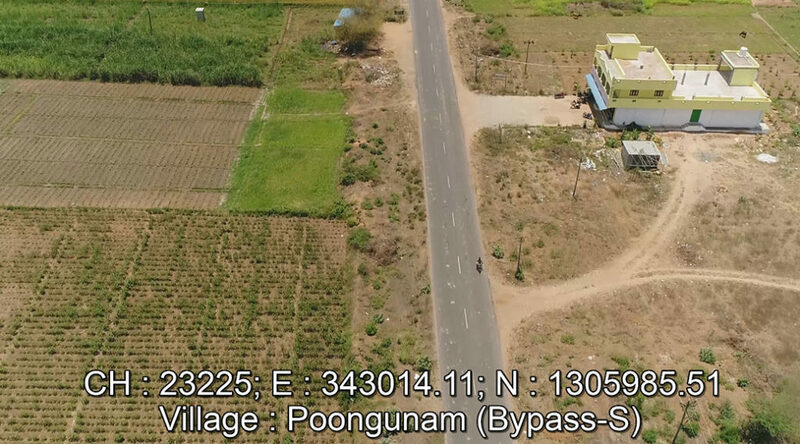 Drone Survey data is integrated with geographical co-ordinates and corresponding chainage, providing accurate location of important structures. This helps in effective communication between people working onsite as well as offsite. After the planning phase, comes the execution phase where the equipments are deployed onsite and the construction begins. Staying up to date with true ground realities of the project can be a real challenge. Quarterly aerial videography of the entire stretch can provide timely updates on progress. Any bottlenecks that hamper the progress can immediately be solved once the project manager has the data. This saves the project manager’s valuable time which he would have otherwise spent visiting the site. In addition to monitoring the progress, Project managers can forecast any potential threat to the employees working onsite. Using a combination of aerial videography and aerial survey, project managers can also understand the inaccessible areas and recognize any potential hazard that may occur on field. Even live telecast can be provided so that they can assess the information in real time to plan for some crucial tasks. 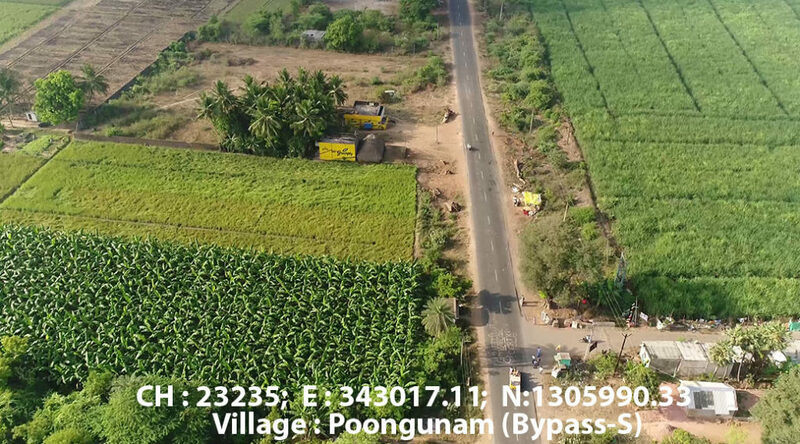 To summarize, the biggest advantage of drone survey is that you get one stop solution to plan and execute your project from scratch, giving you all the information you need. FASTER AND AT A LOWER COST. Project managers can manage subcontractors and keep stake holders informed on the project. Drone Data provides transparency stating the ground realities and makes communication more effective. Contact Pigeon Innovative Solutions for changing the way you visualize the site, be modernized and work less on ground. We make drones do the work. Be a part of Droneage. UAV Surveying and Mapping. We provide our services all over India and anywhere in the world.